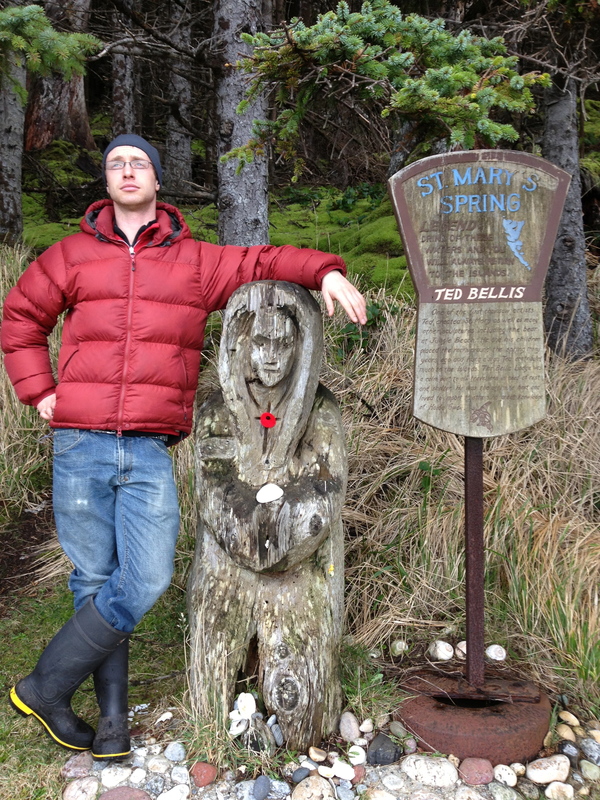 St Mary’s Spring is a thing on the map here. It is on the east coast between Skidigate and Tlell. That wooden sign reads “Drink of these waters and you will always return to the islands”. 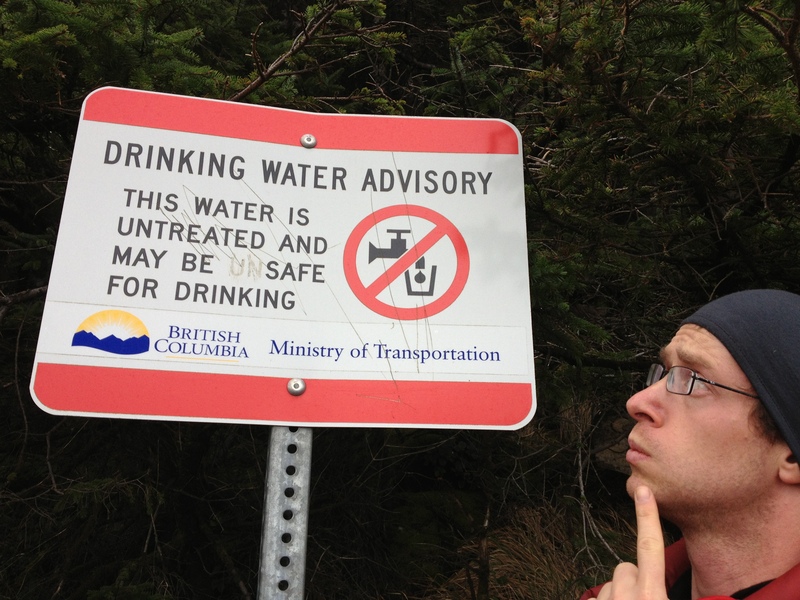 There is also another sign that says the water “may be safe for drinking”. What if you just go for a dip? 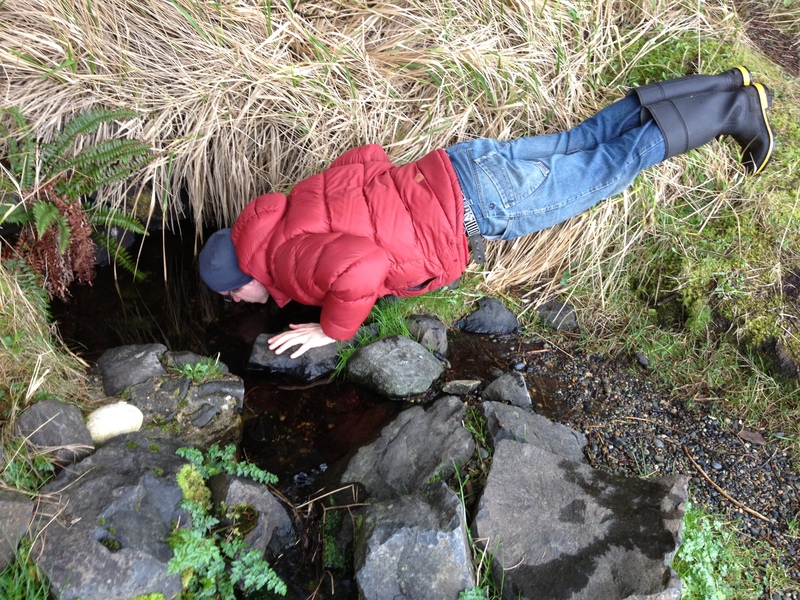 This entry was posted in Haida Gwaii and tagged danger, spring, water. Bookmark the permalink.